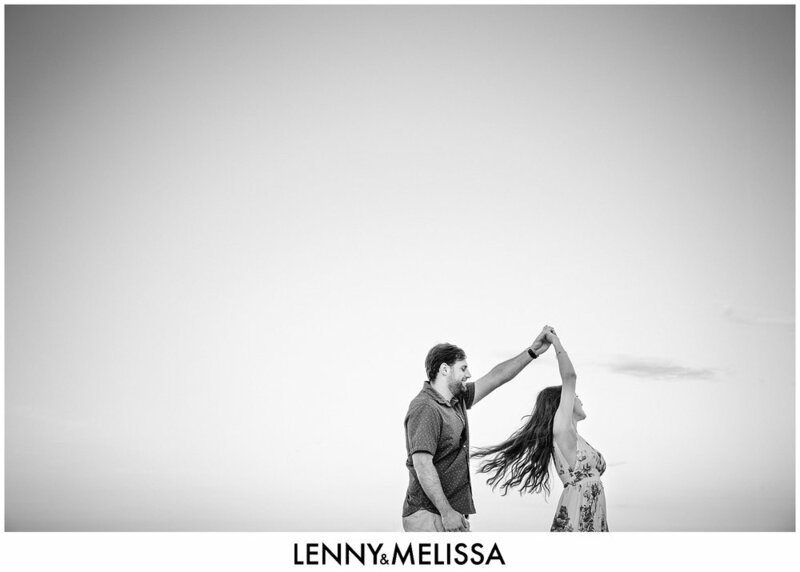 What specifically was your favorite part about your engagement session with Lenny & Melissa? Our favorite part of the engagement session was how much fun we had! That day was actually the first time that we met Lenny & Melissa in person, but they made us feel so comfortable that it felt like we were just taking pictures with our friends. We also loved the engagement picture reveal. Being able to go to the studio and sit with them to see our pictures for the first time was such a personal and fun experience. Funny or memorable moments during your engagement session? We never had photos professionally taken of us. At one point Lenny told Michael to move just his chin and his response was,"How does one only move their chin?" That line became the running joke of the night! Also, we had a very interesting person attempt (and succeed) at photo bombing our pictures... twice! What were you most anxious, nervous or fearful about prior to your session and what was the outcome? The weather was a huge factor that we worried about because, obviously, you can't control it, and we had planned for an outdoor photoshoot. We actually had to reschedule our session twice because of the weather, but Lenny and Melissa handled it like true professionals and eased our nerves about rescheduling. We were also nervous about being comfortable when posing for the pictures, but from the moment we met up with them they eased our nerves and made us feel so comfortable. It was so much fun! Do you feel more relaxed and prepared for your wedding photos after your engagement session? When we first booked with L&M, we actually weren't planning on having the engagement session but then decided to do it, and I am SO glad we did! We absolutely feel 100% more relaxed and prepared for our wedding photos, especially because Michael hates having his picture taken, but L&M made it such a great experience that we both thoroughly enjoyed the session. He even said to me when we were done, "Well, that was actually fun!!" What do you think our future clients should know about the experience you are having with us? 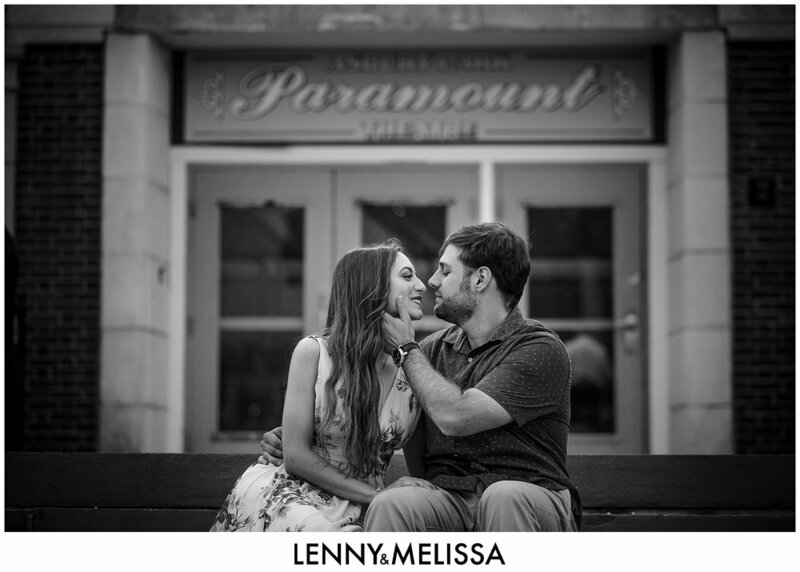 We discovered Lenny & Melissa through a friend of mine who has hired them for her wedding. After following them on Instagram and seeing their beautiful work as well as all the wonderful things my friend said about them, I knew we just had to reach out to them. They were in Florida at the time so we had a video call to discuss the process and what they offered. As we were video chatting with them, I scribbled a note to Michael, "I love them!!" Shortly after our video call, I was sure to call Lenny to make sure that we could lock in our date! 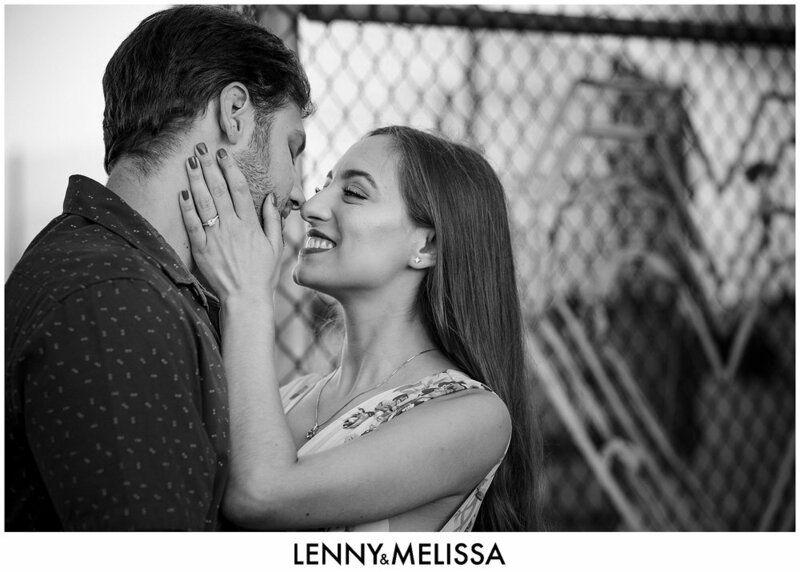 Working with Lenny & Melissa while wedding planning has been the best decision we've made. Not only is their photography work absolutely incredible, but they are also such a big help with the whole wedding planning process in general--from creating a timeline of our wedding day to recommending vendors and telling us what time to put on our invitations! They truly understand the intricacies of the wedding business and have immensely helped us be prepared during this process!